Promote Your Business - Support Your Community! 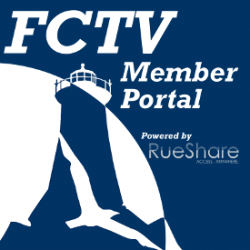 Underwrite FCTV's Coverage of Falmouth Road Race! In this episode of Falmouth in Focus, we learn about the new Civics Education Law in the public schools, visit a downtown art gallery where student artists are displaying their work, sit down with an Olympic Gold Medalist at a local sporting club and much more. In this episode of Falmouth in Focus, we attend the groundbreaking for the new school athletic fields, follow up on our spotlight on Independence House, join Troy at the Cape and Islands Chefs Association and much more. In this episode of Falmouth in Focus, we get an update on the planning for the NEW Falmouth Community Garden, look back at the past 50 years of the Cape Cod Curling Club, stop by the Woods Hole Theatre Company to learn about their upcoming show and much more! In this episode of Falmouth in Focus, we make a stop at the Falmouth Village Green for the Women’s Rally and Call to Action event, join Engage Falmouth at the volunteer fair, remember Falmouth Road Race founder Tommy Leonard, and much more. In this episode of Falmouth in Focus, we check in on FCTV’s construction progress at the new Falmouth Community Media Center, take a walk through one of the 300 Committee’s most recent conservation projects, take a look at an organization whose mission is to house the homeless and much more. On this very special edition of Falmouth In Focus, we take a look back at the year 2018 by sharing some of our favorite stories of the year. In this episode of Falmouth in Focus, we grab a shovel at the Senior Center Groundbreaking, help stuff a cruiser to benefit the Falmouth Service Center, get a ticket for Gardens a glow at the Heritage Museum and Gardens and much more. In this episode of Falmouth in Focus, we review some storm preparation tips, take a look at a local charity hockey game, make a stop with Troy at the Falmouth Christmas House and much more. In this episode of Falmouth in Focus, we get an update on the Rte. 28 widening project, take a ride at the Cyclo Cross at the Fairgrounds, learn about the services available to our Veterans and much more. In this episode of Falmouth in Focus, we drop in on the groundbreaking ceremony for the new Falmouth Community Media Center, stroll down Main Street to check out the Village of Scarecrows, visit Falmouth High School to learn about a unique basketball team and much more. On this episode of Falmouth in Focus, we take a look at the plans for the new steamship terminal in Woods Hole, follow a charity bike ride through town, learn more about a local program for people dealing with Mental Illness and Addiction and much more. In this episode of Falmouth in Focus, we go behind the scenes at Falmouth’s Emergency Preparedness Fair, check out the new water bottle filling stations with the Falmouth Water Stewards, take a look at the fire hydrant painting around town and much more. In this episode of Falmouth in Focus, we learn about what happens to your trash after it’s hauled off, spend an afternoon with the canine contestants of the Cranberry Cluster Dog Show, find out what Clipper Time means at Falmouth High School and much more. On this episode of Falmouth in Focus, we celebrate a milestone with the College Light Opera Company, learn how Falmouth Road Race runners raised money for charity, hear some fond memories from Falmouth High graduates and much more. On this episode of Falmouth in Focus, we take a look back at the Commodores’ season, stop by the Falmouth Police Department for National Night Out, visit a new Thrift Shop in town and much more. In this episode of Falmouth in Focus, we visit the Barnstable County Fair, talk to the College Light Opera Company about their 50th Season, look back at Cape Cod Hydrangea Festival and much more. In this episode of Falmouth in Focus, we get a preview of the Woods Hole Film Festival, hear about a program for latex paint recycling, talk to some kids at the annual Woods Hole Parade, and much more. This week on Falmouth in Focus, we visit the Cape Cod Fairgrounds, stop by Cape Cod Pride Day, check out the last day of school and much more. On this episode of Falmouth in Focus, we visit the Farmers Market at Marine Park, learn about efforts to relocate our town archives, celebrate with the Falmouth High School class of 2018 and much more. In this episode of Falmouth in Focus, we get an update on the Shining Sea Bikeway, take a look at the latest Cape Cod Soldier Ride, find out how Falmouth High School students safely celebrate After Prom and much more. On this episode of Falmouth in Focus We take a look at election results from the recent Town-wide election, get a status update on the New Senior Center building project, learn about the opening of the Coonamessett River and much more. Michael Kasparian hosts FCTV's biweekly local affairs program, Falmouth In Focus. In this episode of Falmouth in Focus: the Cape Cod Region Transit Authority gives us an update on bridge repairs, students speak out against gun violence, we get a water quality update at Little Pond, and much more! Falmouth in Focus is FCTV's informational, magazine-style program that features the people,places and things that make up our town. Falmouth in Focus premieres every first and third Friday evening on Public Channel 13. It reruns throughout the week and is available online. Falmouth Community Television welcomes story ideas for Falmouth in Focus. While we can't cover every story, we welcome your suggestions. If you have a story idea that involves a person, place or event in Falmouth, please either fill out this form or email Liz Lerner at liz@fctv.org or call 508-457-0800. Please be as detailed as possible. If different than one given above.